Suit of armour. 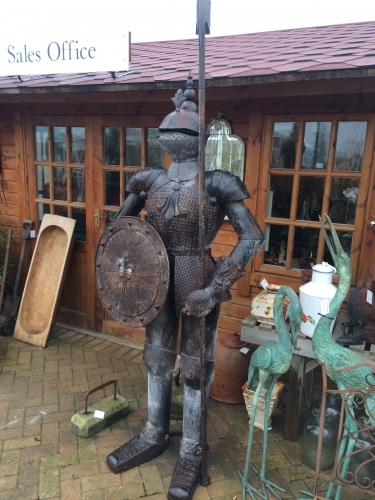 Life size this stands 244 cm tall to top of axe 85 cm wide. A real show stopper entrance piece.